Yon koudèy sou pi bèl foto kap domine aktyalite a. 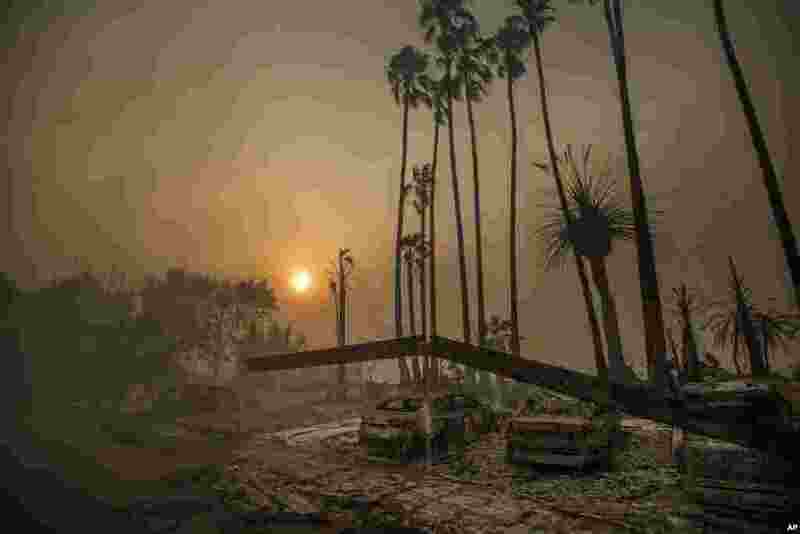 1 Smoke rises behind an apartment complex that has been leveled by flames as a wildfire ravages Ventura, California. 2 Ukrainian Security Service officers detain former President of Georgia Mikheil Saakashvili at his house in Kyiv. 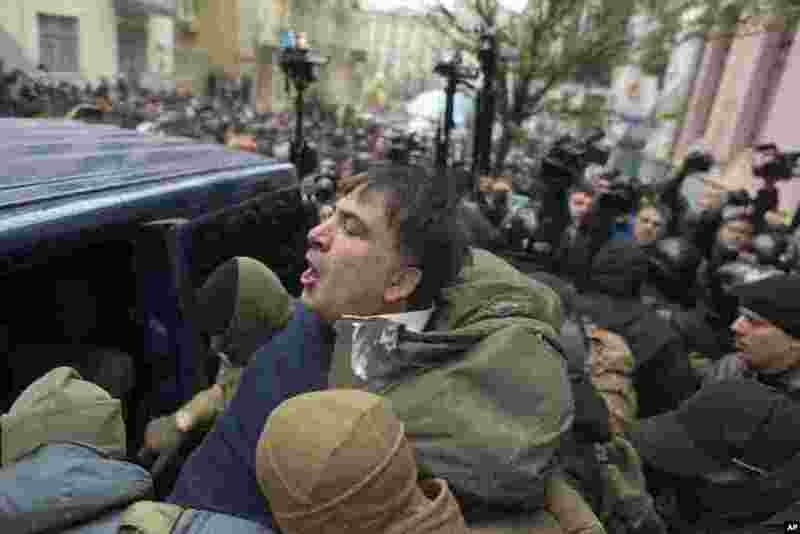 Ukraine's intelligence agency detained Saakashvili, who has emerged as an anti-corruption campaigner in his new country, but faced an angry backlash of protesters who would not let the officers to take him away. 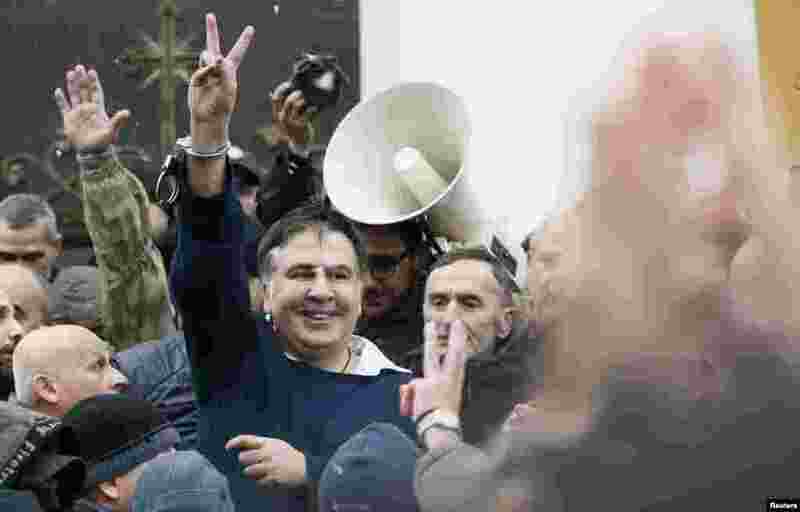 3 Georgian former President Mikheil Saakashvili flashes a victory sign after he was freed by his supporters in Kyiv, Ukraine. 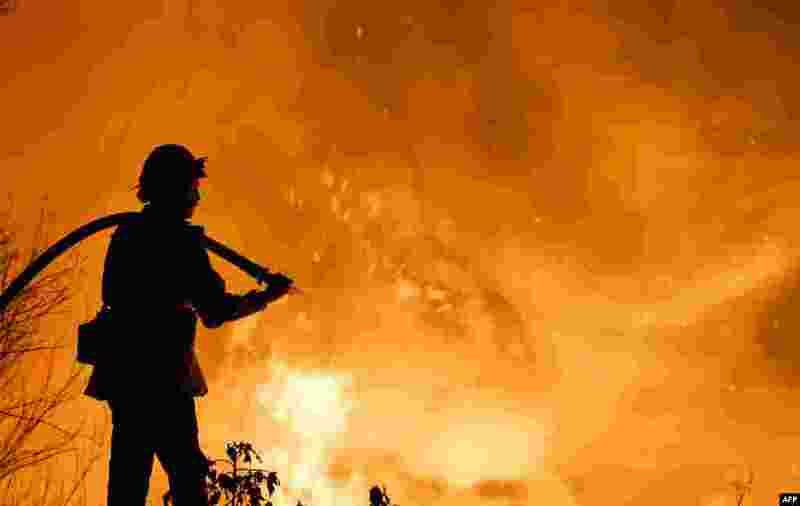 4 A firefighter battles a wildfire as it burns along a hillside near homes in Santa Paula, California.